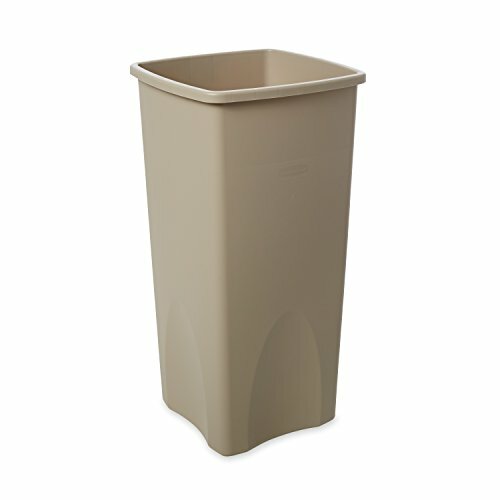 The Rubbermaid Commercial Untouchable Trash Can features a sleek square design for a professional image. The liner cinch allows for bag retention and eliminates knot tying. The garbage can is durable and crack-resistant, even under tough indoor/outdoor conditions. This trash can is perfect for hotel lobbies, offices, restrooms, shopping malls, restaurants, and other public locations. Measures 30-9/10" x 19-1/2" x 15-1/2"